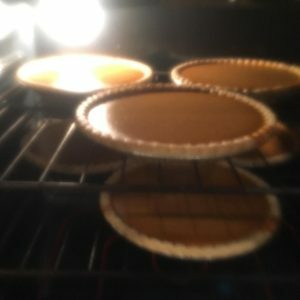 Pies…they’re not just for holidays. At least that’s how we feel here at Joe’s Dairy Bar and Grill. 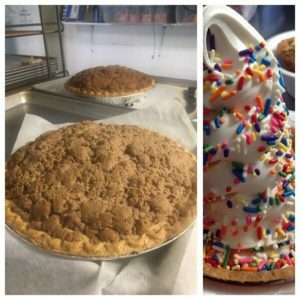 While we can make nearly any pie you request, there are several that we sell on the regular: apple pie; apple crumb pie (or “Dutch Apple”); blueberry pie; blueberry crumb pie; cherry pie; cherry crumb pie; and pumpkin pie. Pies are made fresh to order on our premises. Just look at the yumminess…. 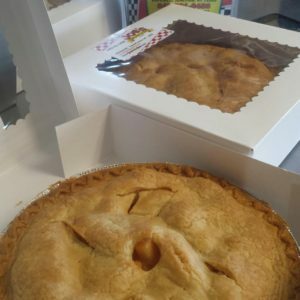 So to be clear, we do offer pies year round, not just for holidays. 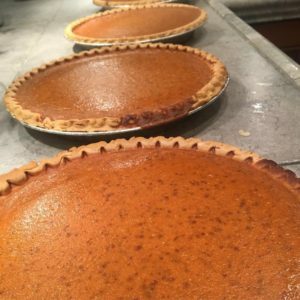 Keep in mind that normally, on a rolling basis, you only need to give us 48 hours’ notice to whip up your pie and get it boxed and ready for pickup. Exception: At holiday time we do have set firm date-related deadlines for orders to be placed and additional deadlines for those orders to be picked up. You can Message us on the Facebook Brand Page, Direct Message (DM) us on Instagram, call us at 845-221-0488 or contact us here.